For a recent theft in Grimes County, Texas, the main clue for investigators was an unlikely object: a stolen Caterpillar forklift. The Grimes County Sheriff’s Office investigated a report about a stolen forklift from a construction site earlier in May. The forklift was valued at $140,000. Smart detective work and persistence led to an additional $15,000 worth of stolen items from a pair of different thefts – one in Louisiana and another in Bedias, Texas. What’s interesting about this case is that the police department worked with Caterpillar offices in San Antonio. Capt. Blake Jarvis said, “Luckily, they had a GPS tracking system on the forklift. It led us to a piece of property off FM 1696 and, while we were out there, we noticed some other items,” Jarvis said. As you’ve probably read in recent CM blogs, forklift technology is always advancing. 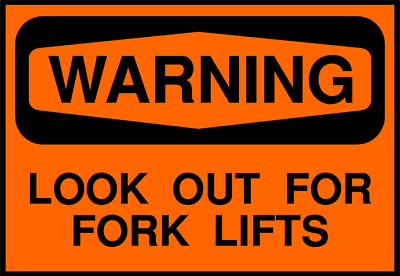 Most of the time, the upgrades help forklift drivers – and in this instance, they worked against would-be thieves! GPS tracking devices typically track a lift’s route within a warehouse or dockyard. But here, it assisted law enforcement officials. The forklift was located stuck in the mud inside a creek. The two other major items recovered were a cattle trailer a 16-foot tandem axle trailer. James Warren Murray, 28, and Richard Harold Ashley, 43, (both of Spring, Texas) were arrested shortly after investigators found out about the Caterpillar lift. “We worked on it all week and it was good teamwork by all the officers and investigators,” Jarvis said. Certifyme.net is your #1 source for online training. We have OSHA certified coursework and a convenient, flexible testing format. Companies like Harley-Davidson, Snap-On Tools and Jenny Craig are just a few firms that have made CM their preferred forklift training source. For more information, please visit our contact page, or dial (888) 699-4800. Our customer service team can help you schedule your classes today. And thanks again for reading the CM blog! Stay tuned for more updates on the forklift industry right here!